Last May 5 to 6, 2012, we went to Cebu for the Pre-Startup Weekend Bootcamp, in preparation for the Startup Weekend Cebu on May 11-13, 2012. On May 5, 2012, we went to the ILC-AVR of University of the Philippine Cebu for the event. Mark Abella, lead organizer of Startup Weekend Cebu gave a talk about Startup Weekend Cebu. Vanessa Orendain, community manager of GBG Philippines talked about Pitching, Marketing, and Monetization. Albert Padin talked about HTML5 Development while Rico Sta. Cruz discussed Turning Ideas into Buttons. 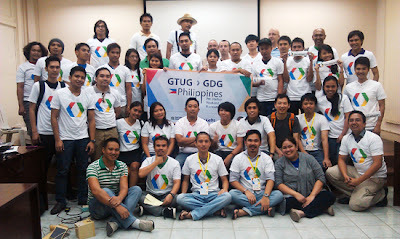 Anne Olvido, GDG Bacolod community manager, Jerome Locson, GDG Zamboanga community manager and I talked about Android Development. After the event, we took a rest, went to Cebu IT Park and had dinner at Chicken & Beer. We went to a bar afterwards but then we transferred to a karaoke bar. The next morning, I went to Tabo-an Market to buy danggit, pusit, longganisa and some keychains. I went back to the hotel and had to change my clothes because I smell fishy. We then had late lunch at Balamban Liempo in Ayala Center Cebu. After lunch, we had a smal tour around Ayala Center and SM Cebu. We bought some pasalubong at the SM Department Store and had dinner at Mooon Cafe. Then, we went to the airport to fly back to Manila. 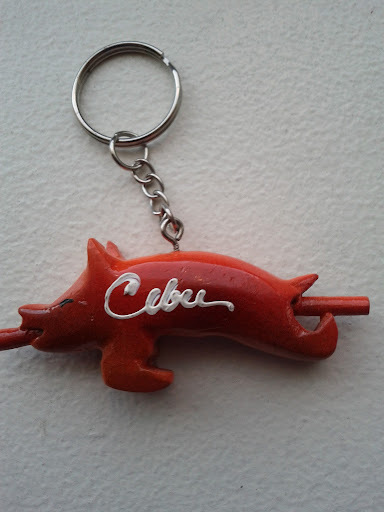 Even if weren't able to roam around much and I wasn't able to try Lechon Cebu, the experience was good. I would love to come back there again, especially for vacation.